See the post below for one of my favorite pieces from Esley Collection. The prices are absolutely irresistible for this sale... I probably shouldn't share all this info considering I can never get up early enough to beat the lines at these sales. But... 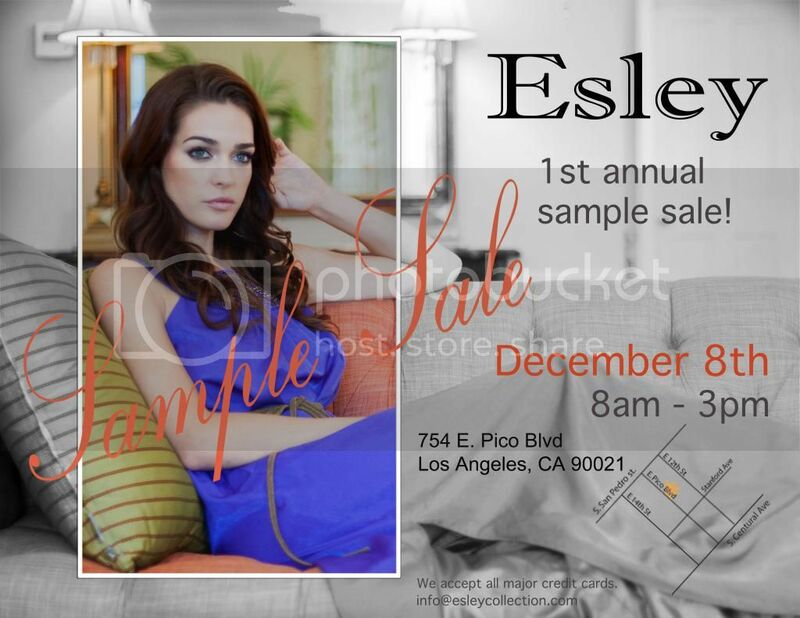 I've never left a sample sale with empty hands and I appreciate my readers~ So there's something for everyone.